The historical value of this very important information provided by Hiuen Tsiang has been challenged. It is also suspected that it is only a pious fabrication of the famous Chinese traveler who came to Kashmir in the 7th century. There may be two reasons for this conclusions. One many be that Kalhana makes no mention of the Buddhist Council, what-so-ever. Secondly, a third century manuscript by Paramartha on the life of Vasubandhu makes no mention of the Council convened by Kanishka at Kundalwan in Kashmir. I have myself translated the Rajatarnagini into Japanese and I have felt that Kalhana has left many important facts of historical importance. To go into the details on the issue is not the topic of the discussion to day. Secondly, Paramartha, though of earlier orgin, did say about Buddhist Council, which summoned the famous Buddhist scholar, Ashavgosha to Kalandhra for 12 years to produce a gigantic encyclopaedia of Sarvastivadin canon. It makes no mention of Kanishka’s council, but a colophon on the manuscript does not make mention of Kanishka. This clearly shows that some conference was convened during the region of Kanishka. Probably, this may have been an earlier or preparatory conference to the Kanishka’s Buddhist Council is that the unnamed King, ordered, that the cannon, thus formulated the Jallandhara Council, should not be allowed to go out of Kashmir. This clearly shows that this conference was also held either in Kashmir at a place know as Jalanhara of if we have to seek Jalandhara outside Kashmir, then it may be said that, at the most, the meeting continued for 12 years in that Jalandhara and the fruits of labour were preserved in Kashmir. In both the cases, we have to search these relics in Kashmir. While Hiuen Tsiang has stated that the Council was held in Kashmir, he has not given the exact location of the site. Taranatha as mentioned Kundalwan as the place where this great council of the Buddhist faith was held. Many an archaeologist of the world have been searching Kundal wanvihara in Kashmir. Some have identified it was Kanzalwan or Kuntilun, the hilly slopes from Harwan to Gupkar in Srinagar some are of the opinion that the village Kond in Kuldam is the actual site. It has also been claimed that Ushkur is the possible site. Some are of the opinion that the possible site is near Ahan in Sumbal or Kanelwan near Budavihara (Bijibehara). It has also been claimed that the site is 64 kilometers from Srinagar and may be at Budmul between Baramulla and Handwara. 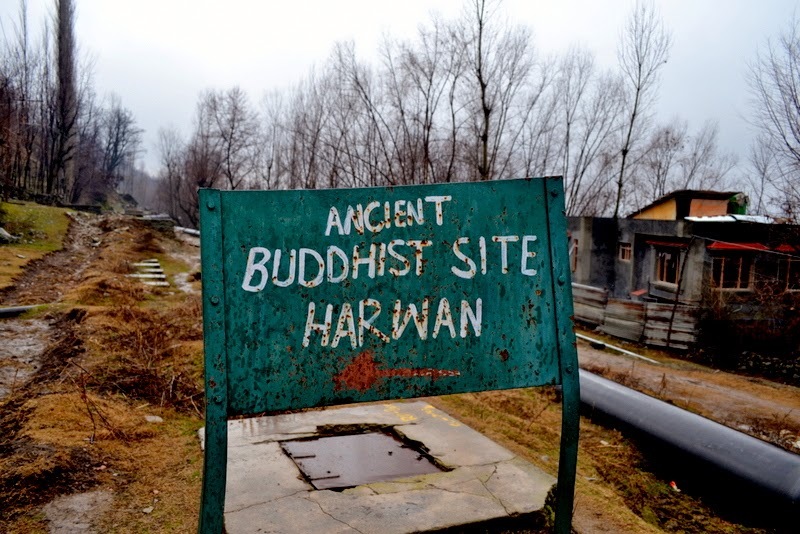 There is another possible site in the Buddhagham (Budgam) are where a huge stone and some relics exist even today. What is needed is that systematic excavations of all these places should be undertaken either by the State Archaeology or by the University.